Join us to bear witness, pray and take action in response to the government's policy of separating immigrant parents from their children at the border. UPDATE: While "an executive action has been signed that ends the administration's policy of separating migrant families crossing the U.S.-Mexico border," we will still hold this space for all those who continue to be affected by immigration and asylum policies and for those seeking justice and peace. An interfaith vigil hosted by the Episcopal Public Policy Network via Facebook Live. This vigil will be held on the longest day of the year to represent that even one day is too long to be separated from family. Virtual Vigil for Family Unity: Thank you to everyone who came out and shared your passion and vision for how we can move towards a just and kind future. If you would like to be on a mailing list to hear about actions such as this, please contact our office. Reverend Susan preaches about the question, "What does the bible really say about immigrants, refugees and the resident alien in our midst?" Families Belong Together - A vigil will be held outside the Ventura Government Center (Corner of Telephone and Victoria) to display our commitment to stopping cruel immigration practices. Contact your representatives. Write a letter here. 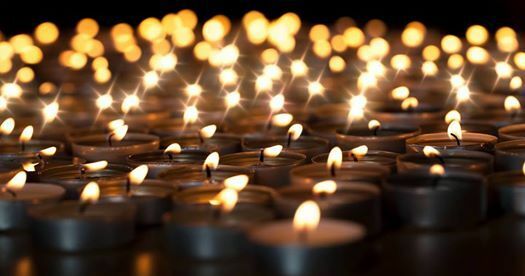 Look for local vigils and events in your community. Bear Christian witness to events going on in the world. Strive to compassionately educate yourself and others. The Episcopal Church's Public Policy Network is a "grassroots network of Episcopalians across the country dedicated to carrying out the Baptismal Covenant's call to "strive for justice and peace" through the active ministry of public policy advocacy." Episcopal Church Policy on Immigration and Refugee Issues: Learn about how the Episcopal Church is taking a stand on this important human rights issue. Hometown (Podcast) is a reflection on scripture and an educational tool used to learn more about the global refugee crisis. Check back for additional events and resources.